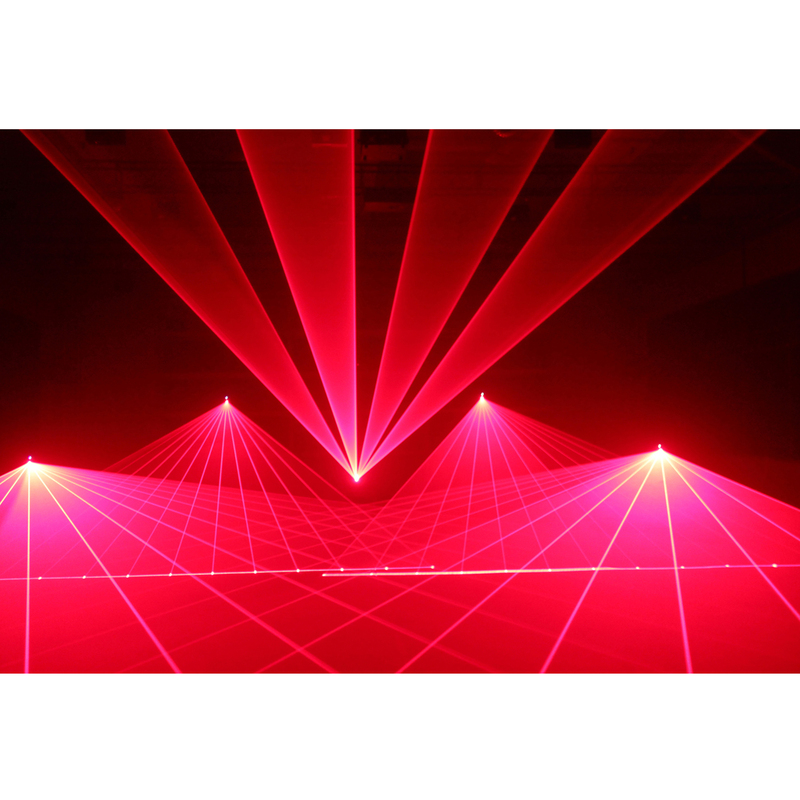 The Phantom 9000 has a guaranteed output power of 8W and a max output power of 9W full colour Red, Green and Blue. 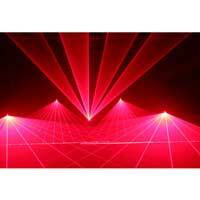 This show laser light provides an analog modulation. It means a better colour fading and a much broader colour. 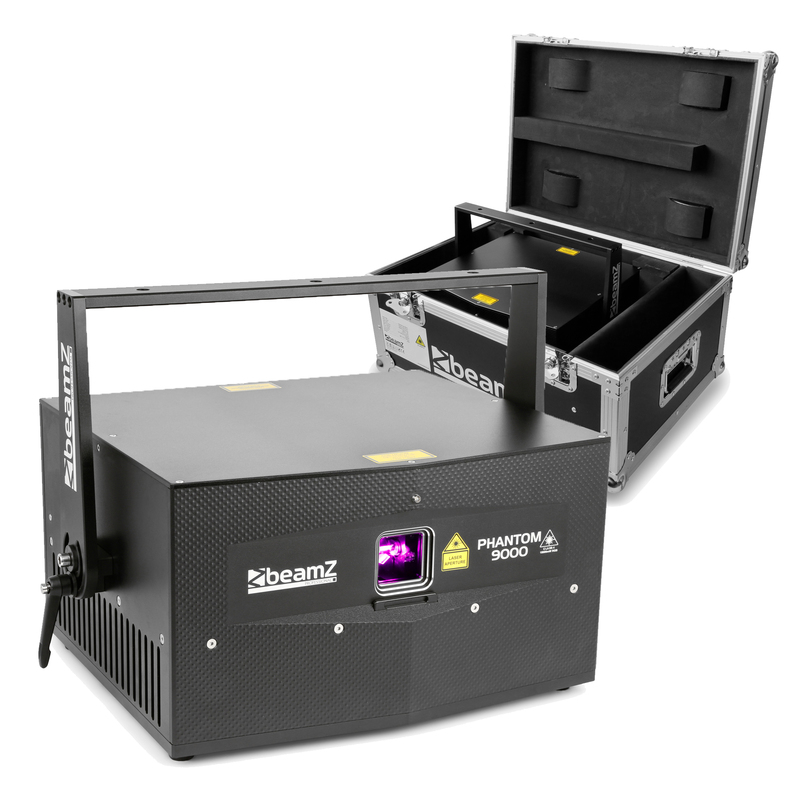 Combining that much power with its precision 30K graphics scanners, whereby accuracy and beam shape is extremely advanced, so these units are suitable for high professional applications. 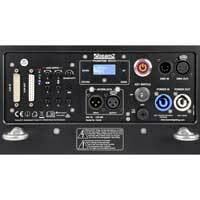 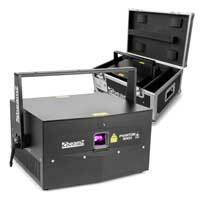 The laser can be controlled over ILDA and DMX or run stand-alone in auto or sound activated mode. 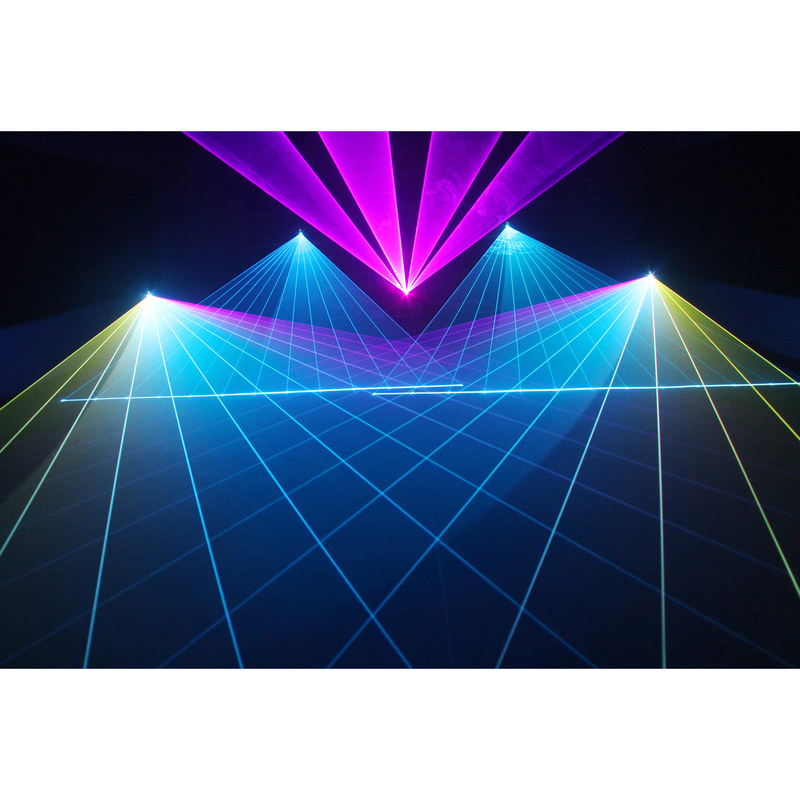 You can produce the exact effect you want with the DMX and ILDA control. 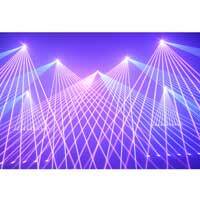 With a fog machine, you can see the beams crystal clear in air. 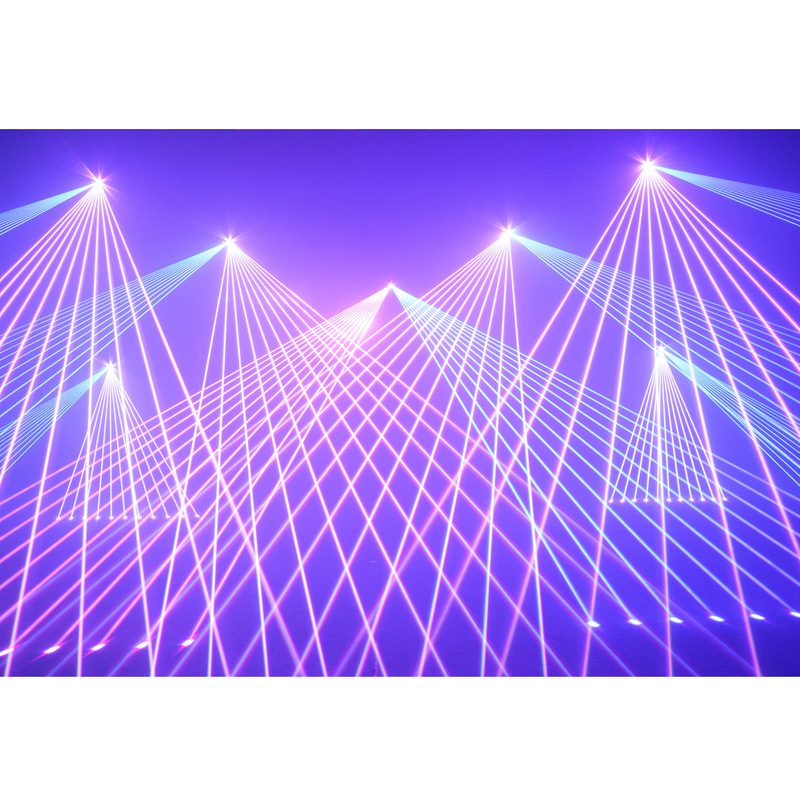 This one will rock the whole space for an amazing light beam show. 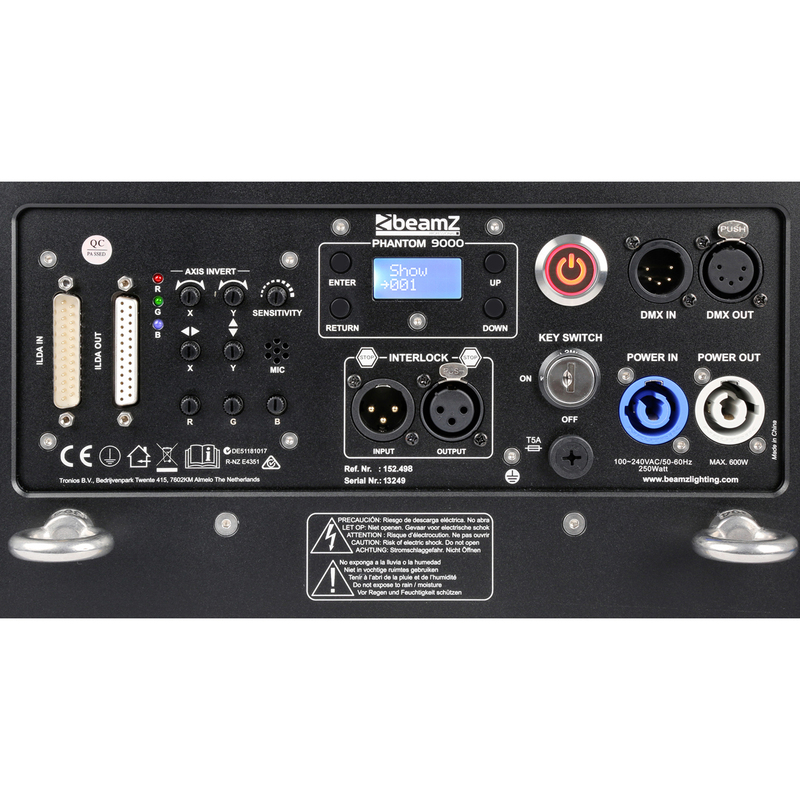 This makes it suitable for any kind of application - fixed installations, mobile use, multimedia projects, long distance outdoor applications and extra precise graphics projections.